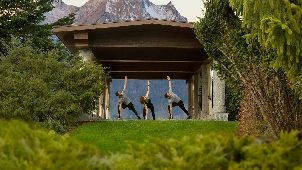 At Bürgenstock Hotels & Resort, you’ll find luxury and a great wellness experience at every turn. 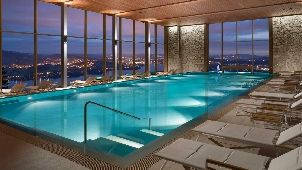 Experience 10,000sqm Alpine Spa with an infinity-edge pool offering stunning views over Lake Lucerne, sauna landscape, various spa treatments and facilities like steam baths, panorama and aroma saunas or experience showers. 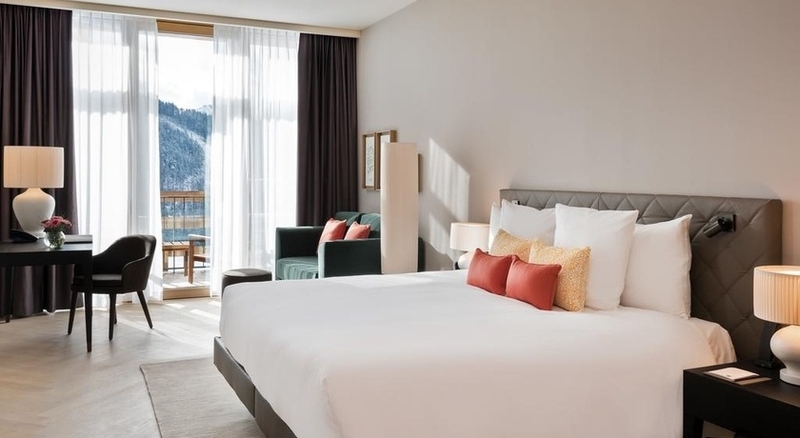 Perched 500m above Lake Lucerne and set high up on the magnificent Bürgenberg, the Bürgenstock Resort is an idyllic retreat located in Central Switzerland. The resort is easily accessible, and its location puts you steps away from stunning attractions and a wide range of outdoor activities. 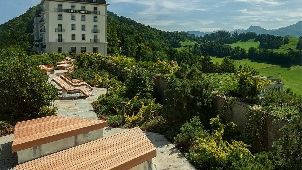 It’s situated just 20 minutes from Lucerne and an hour from Zurich Airport. 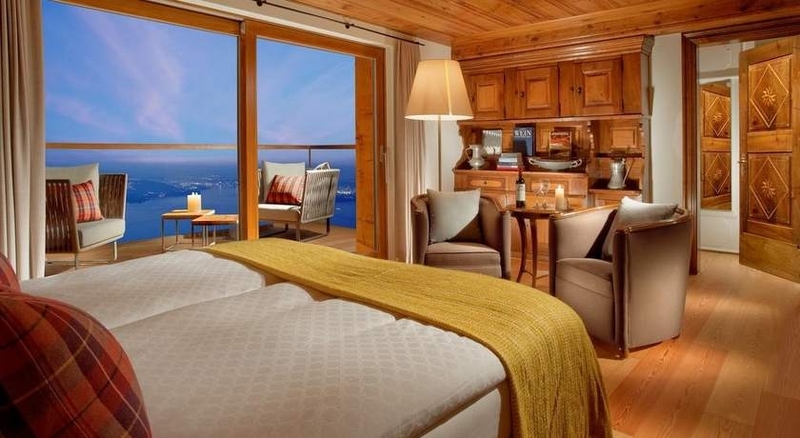 Bürgenstock Resort offers spacious suites, villas, and rooms that allow guests to enjoy the luxury amenities as well as privacy and cosiness like at home. Featuring 160 rooms and suites, as well as an integrated spa, Waldhotel Health & Medical Excellence is a wellness retreat designed by the award-winning architect Matteo Thun. 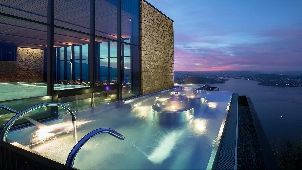 The hotel features exceptional architecture with modern medical standards. 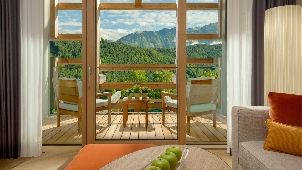 The integrated spa in Waldhotel offers a wide range of luxurious wellness facilities including a therapy pool. 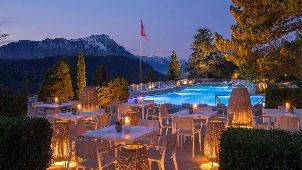 The rooms and suites are lavishly designed with stunning views of the Alps from their terraces. 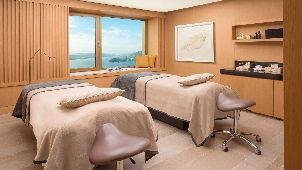 The five-star wellness hotel offers medical and healing treatments such as therapy, rehabilitation, diagnostic and prevention. Palace Hotel reflects sophistication and elegance in its 108 rooms and suites, complemented with a wide range of luxurious amenities. 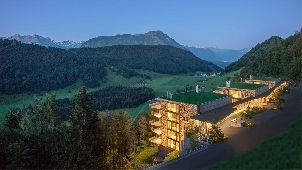 The rooms and suites offer panoramic views of Lake Lucerne and the surrounding alpine landscapes. 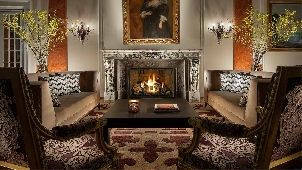 With high-quality furnishings and quiet ambiance, it’s easy to relax and unwind at Palace Hotel. 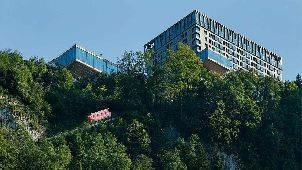 The Blockhaus Residence is situated on an impressive mountain ridge path with a spectacular view of Lake Lucerne. The building dates back to the 60s and served as the resort’s former manager’s cottage before it was renovated. 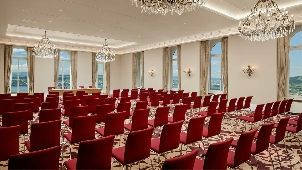 After the renovations, Blockhaus now has a contemporary and cosy appearance with modern furnishings and minimal décor. 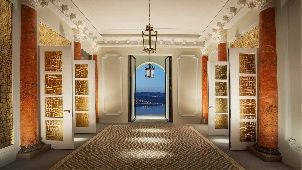 The residence has an extended glass balcony that provides a magnificent view over the lake. 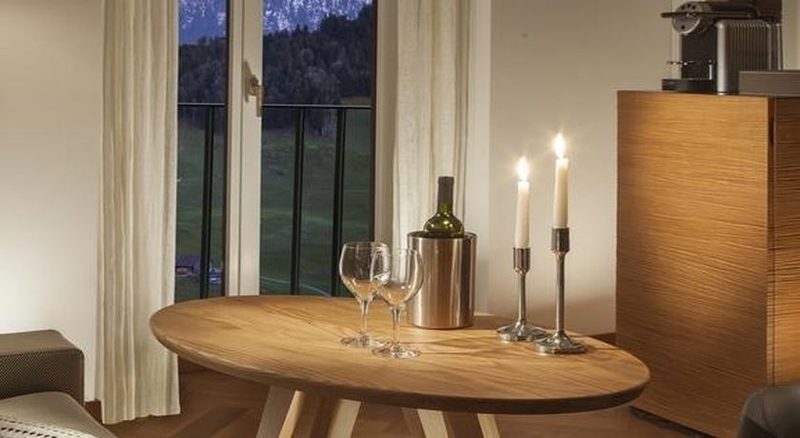 It’s perfect for a romantic weekend for two, or an individual looking for privacy and seclusion during the holiday in Switzerland. 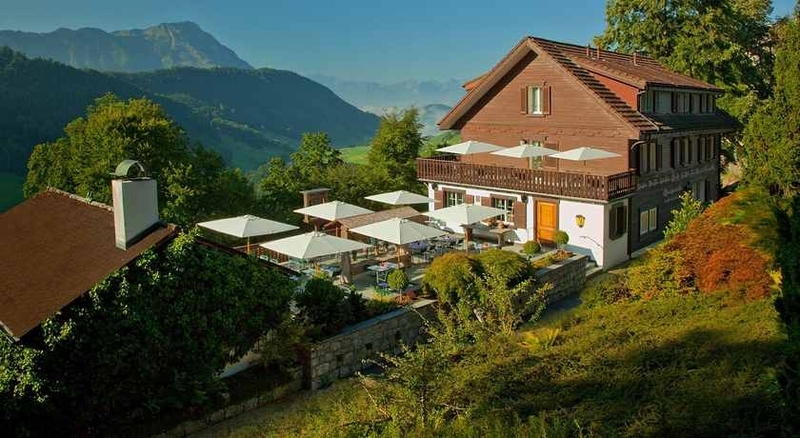 Taverne 1879 is a “Jewel in the Crown” on Bürgenstock Hotels & Resort, a traditional-style inn open to visitors and passing hikers. 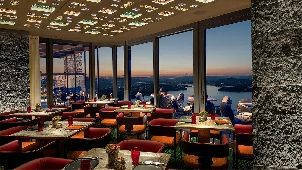 The building is mainly a restaurant with 65 seats and a spacious terrace. 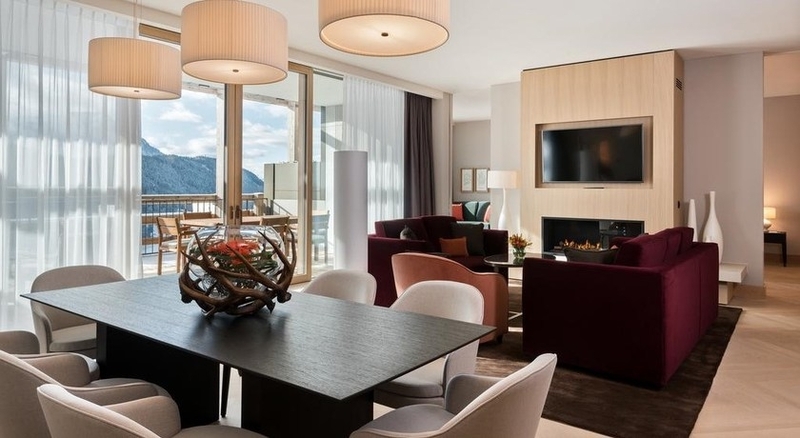 However, it also features 12 awesome rooms furnished in the cosy Alpine style, offering a wide range of modern facilities such as large flat screen TV, Wi-Fi and a modern bathroom with shower and hairdryer. 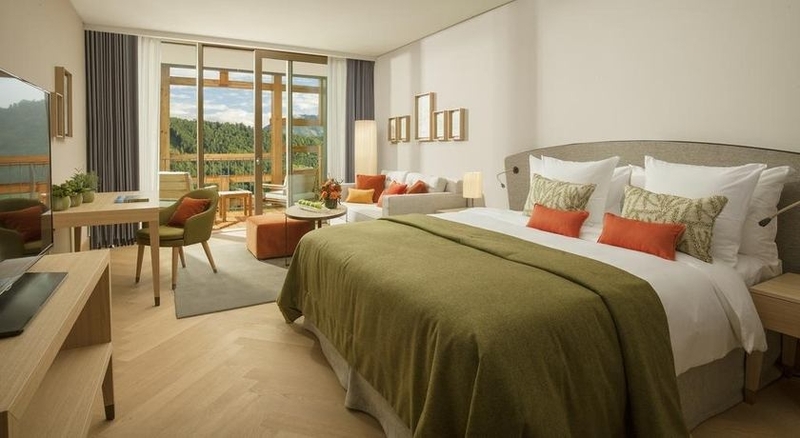 The legendary Bürgenstock Hotel has 102 luxuriously furnished rooms and suites with spectacular views of Lake Lucerne with unlimited access to Alpine Spa. More details and booking options here. 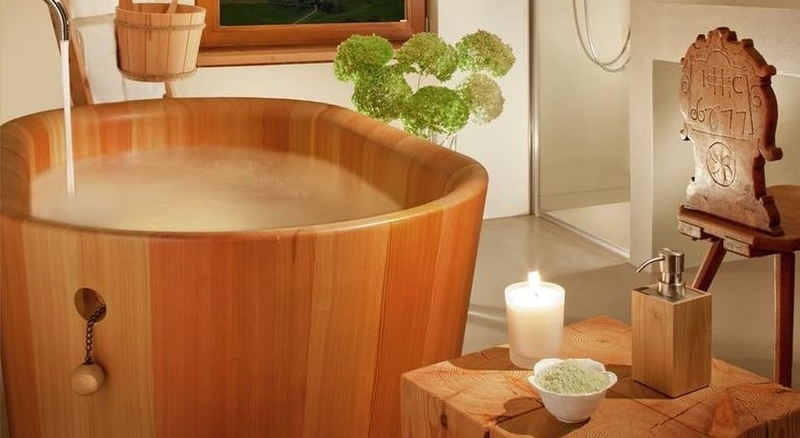 Experience a new world of relaxation, rejuvenation and holistic healing at the exclusive Bürgenstock Alpine Spa, where wellness, health, and beauty are combined to soothe every sense. 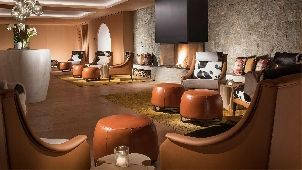 The spa is the perfect place to relax, unwind, and look after your body, soul, and mind during your Swiss holiday. Floating between water and ski with a breathtaking view of the Lake Lucerne, Mt. Pilatus and Mt. Rigi, the Alpine Spa has delightful wellness facilities, where you can immerse yourself in the world of luxurious treatments. The spa has a farm-to-table grill restaurant, a spectacular infinity-edge pool, a spa garden, sauna landscape and private spa suites. Start your day with an invigorating workout at the fitness centre, which offers a variety of equipment. 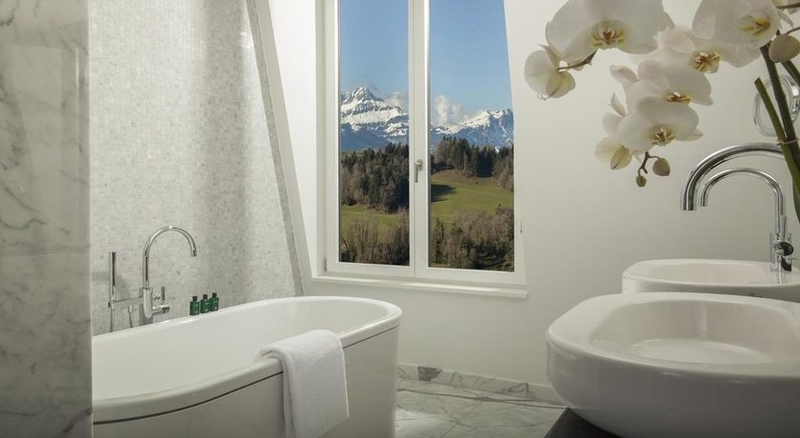 All guests from the WALDHOTEL HEALTH & MEDICAL EXCELLENCE, PALACE HOTEL & CONFERENCES and TAVERNE 1879 may purchase access to the ALPINE SPA at a surcharge of CHF 100.00 per person per night. 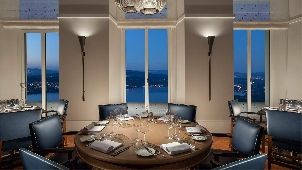 With a laid-back atmosphere and luxurious lifestyle, Bürgenstock Resort offers a wide range of relaxed dining options. Every day, you can embark on a completely unique culinary journey with a variety of flavours from authentic Swiss cuisine to Middle Eastern and Asian cuisine. 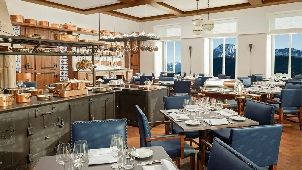 Dine at Verbena Restaurant & Bar, Sharq Oriental Restaurant, Ritzcoffier Restaurant, Spices Kitchen & Terrace. You can enjoy light snacks and delicious meals while you relax and hang out with your friends at the Palace Lounge & Terrace, Oak Grill & Pool Patio and Lakeview Lounge & Bar. 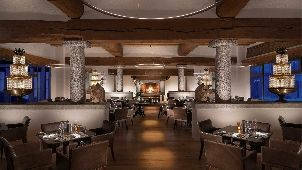 Each dining spot serves delicious meals that will awaken your taste buds and stimulate your senses. 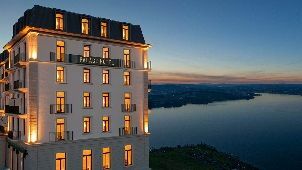 Bürgenstock Resort offers a relaxing holiday and opportunities to enjoy a wide range of activities such as tennis, hiking, biking, golfing, ice skating and a variety of water sports. During the summer holiday, you can take the highest outdoor elevator in Europe, Hammetschwand Lift to the top of the Bürgenberg, which features an incredible 360-degree panorama. You can also embark on an amazing shopping expedition at the resort’s SkyBoutique and a variety of designer stores, where you will find luxury items from Omega, Longines, and Swatch, as well as delicious chocolate from the Choco Chalet. 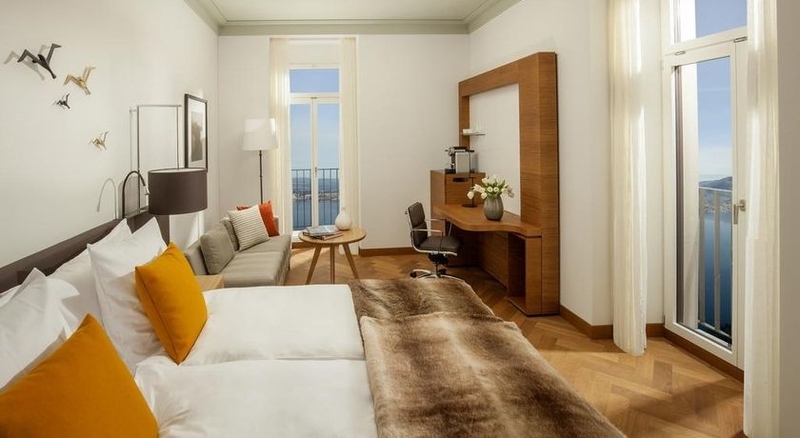 This double room features a king-size or twin beds, a sofa, a desk, a Nespresso coffee machine and a soft drinks from the minibar. The modern bathroom offers a rain shower. 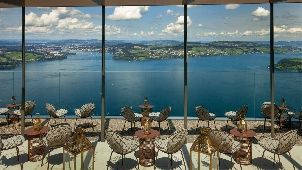 This room also provides a free usage of the Bürgenstock Boat Shuttle as well as a funicular from and to Luzern during entire stay. Room facilities: • View • Mountain view • TV • Telephone • Radio • Satellite Channels • Cable Channels • Flat-screen TV • Safety Deposit Box • Air conditioning • Iron • Trouser Press • Desk • Ironing Facilities • Seating Area • Fan • Heating • Carpeted • Interconnected room(s) available • Tile/Marble floor • Wardrobe/Closet • Hypoallergenic • Sofa bed • Shower • Hairdryer • Bathrobe • Free toiletries • Toilet • Bathroom • Bidet • Toilet paper • Tea/Coffee Maker • Minibar • Coffee machine • Wake Up Service/Alarm Clock • Wake-up service • Alarm clock • Towels • Linen Free WiFi! 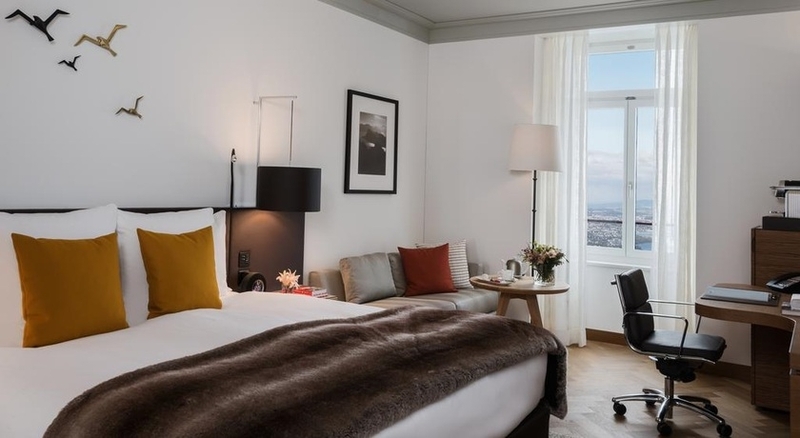 These rooms are situated on the higher floors and feature a king-size or twin beds, a comfortable sofa, a desk, a Nespresso coffee machine and a soft drinks from the minibar. 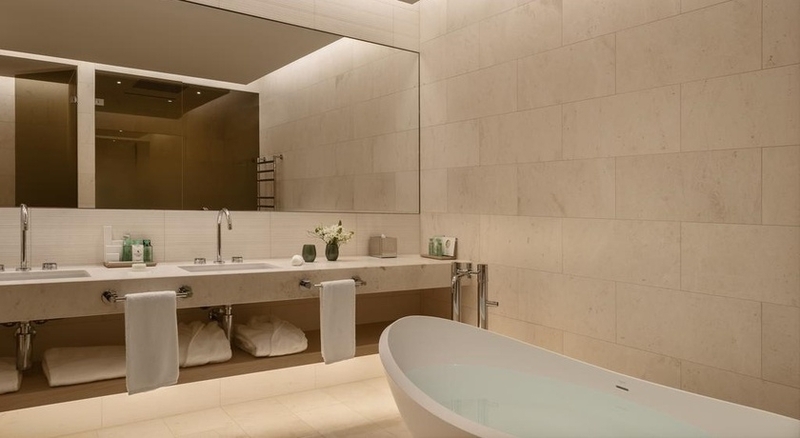 The modern bathroom offers a relaxing rain shower and Bulgari toiletries. The room also provides free soft drinks minibar. 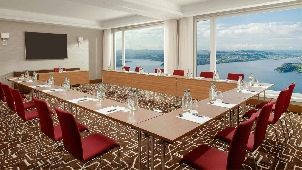 This room also provides a free usage of the Bürgenstock Boat Shuttle as well as a funicular from and to Luzern during entire stay. Room facilities: • Balcony • View • Mountain view • TV • Telephone • Radio • Satellite Channels • Cable Channels • Flat-screen TV • Safety Deposit Box • Air conditioning • Iron • Trouser Press • Desk • Ironing Facilities • Seating Area • Fan • Heating • Carpeted • Tile/Marble floor • Wardrobe/Closet • Hypoallergenic • Sofa bed • Shower • Hairdryer • Bathrobe • Free toiletries • Toilet • Bathroom • Bidet • Toilet paper • Tea/Coffee Maker • Minibar • Coffee machine • Outdoor furniture • Wake Up Service/Alarm Clock • Wake-up service • Alarm clock • Towels • Linen Free WiFi! This double room features king-size or twin beds, a sofa, a desk, a Nespresso coffee machine and a soft drinks from the minibar. The modern bathroom offers a rain shower. 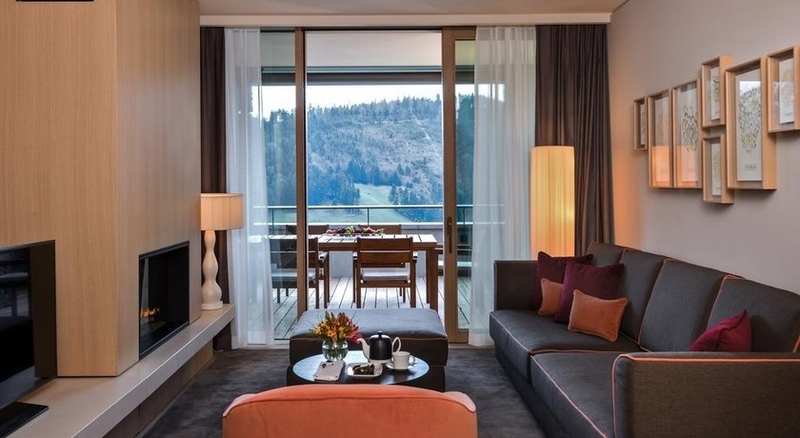 This room also provides a free usage of the Bürgenstock Boat Shuttle as well as a funicular from and to Luzern during entire stay. Room facilities: • View • Lake view • TV • Telephone • Radio • Satellite Channels • Cable Channels • Flat-screen TV • Safety Deposit Box • Air conditioning • Iron • Trouser Press • Desk • Ironing Facilities • Seating Area • Fan • Heating • Carpeted • Tile/Marble floor • Wardrobe/Closet • Hypoallergenic • Sofa bed • Shower • Hairdryer • Bathrobe • Free toiletries • Toilet • Bathroom • Bidet • Toilet paper • Tea/Coffee Maker • Minibar • Coffee machine • Wake Up Service/Alarm Clock • Wake-up service • Alarm clock • Towels • Linen Free WiFi! This double room features king-size or twin beds, a sofa, a desk, a Nespresso coffee machine and a soft drinks from the minibar. The modern bathroom offers a rain shower. 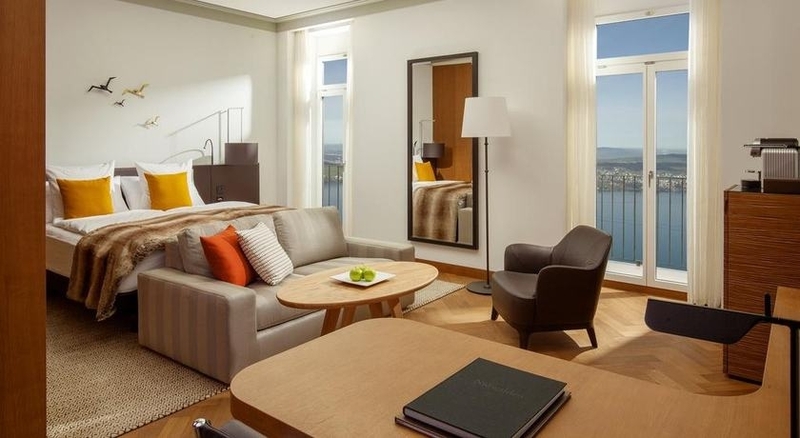 This room also provides a free usage of the Bürgenstock Boat Shuttle as well as a funicular from and to Luzern during entire stay. Room facilities: • Balcony • View • Lake view • TV • Telephone • Radio • Satellite Channels • Cable Channels • Flat-screen TV • Safety Deposit Box • Air conditioning • Iron • Trouser Press • Desk • Ironing Facilities • Seating Area • Fan • Heating • Carpeted • Interconnected room(s) available • Tile/Marble floor • Wardrobe/Closet • Hypoallergenic • Sofa bed • Shower • Hairdryer • Bathrobe • Free toiletries • Toilet • Bathroom • Bidet • Toilet paper • Tea/Coffee Maker • Minibar • Coffee machine • Outdoor furniture • Wake Up Service/Alarm Clock • Wake-up service • Alarm clock • Towels • Linen Free WiFi! This double room features king-size or twin beds, a sofa, a desk, a Nespresso coffee machine and a soft drinks from the minibar. The modern bathroom offers a rain shower. 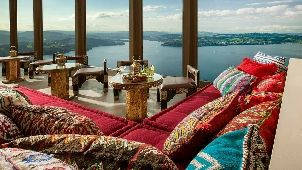 This room also provides a free usage of the Bürgenstock Boat Shuttle as well as a funicular from and to Luzern during entire stay. Room facilities: • Balcony • View • Lake view • Terrace • TV • Telephone • Radio • Satellite Channels • Cable Channels • Flat-screen TV • Safety Deposit Box • Air conditioning • Iron • Trouser Press • Desk • Ironing Facilities • Seating Area • Fan • Heating • Carpeted • Sofa • Tile/Marble floor • Wardrobe/Closet • Hypoallergenic • Sofa bed • Shower • Hairdryer • Bathrobe • Free toiletries • Toilet • Bathroom • Bidet • Toilet paper • Tea/Coffee Maker • Minibar • Coffee machine • Outdoor furniture • Wake Up Service/Alarm Clock • Wake-up service • Alarm clock • Towels • Linen Free WiFi! 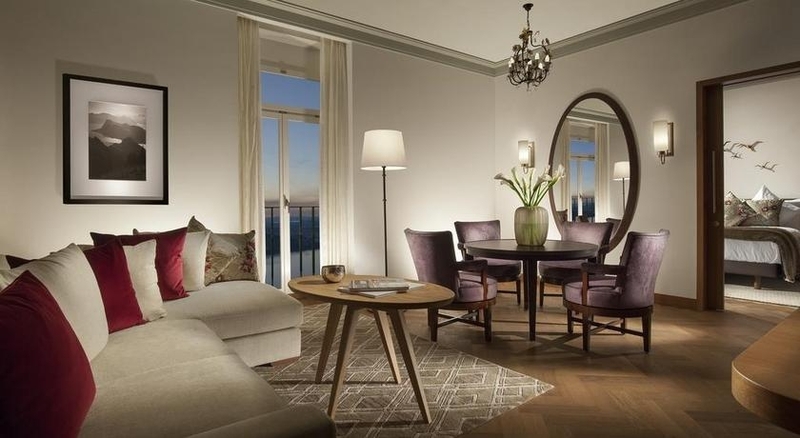 This suite features king-size or twin beds in the bedroom, a living room with a sofa, a desk, Nespresso coffee machine and kettle as well as a dining table. The bathroom offers include a free-standing bath and separate relaxing rain shower. A toilet with integrated bidet and a double washbasin. 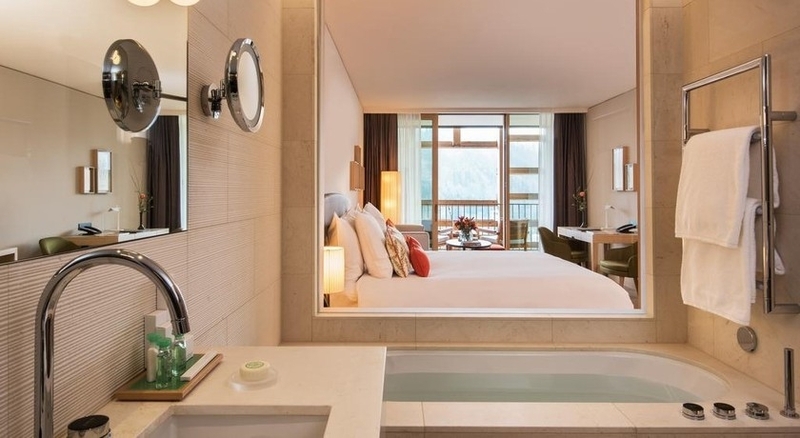 This room also provides a free access to Bürgenstock Alpine Spa and usage of the Bürgenstock Boat Shuttle as well as a funicular from and to Luzern during entire stay. Room facilities: • View • Lake view • TV • Telephone • Radio • Satellite Channels • Cable Channels • Flat-screen TV • Safety Deposit Box • Air conditioning • Iron • Trouser Press • Desk • Ironing Facilities • Seating Area • Fan • Heating • Carpeted • Interconnected room(s) available • Sofa • Tile/Marble floor • Wardrobe/Closet • Hypoallergenic • Shower • Bath • Hairdryer • Bathrobe • Free toiletries • Toilet • Bathroom • Additional Toilet • Bidet • Toilet paper • Tea/Coffee Maker • Minibar with free soft drinks and beer • Coffee machine • Outdoor furniture • Wake Up Service/Alarm Clock • Wake-up service • Alarm clock • Towels • Linen Free WiFi! 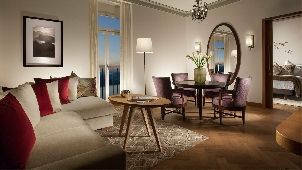 This bright and luxurious suite comes with 2 bedrooms, an integrated kitchen, a private library and a walk-in wardrobe. The suite features own fireplace and a spacious bedroom with king or twin bedding. The bathroom features a free-standing tub and a separate rain shower. Turn down service is included. 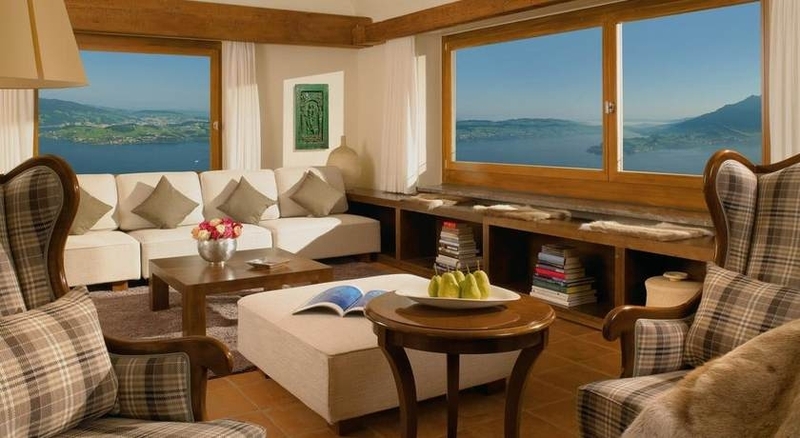 This room also provides a free usage of the Bürgenstock Boat Shuttle as well as a funicular from and to Luzern during entire stay. Room facilities: • View • Lake view • TV • Telephone • Radio • Satellite Channels • Cable Channels • Flat-screen TV • Safety Deposit Box • Air conditioning • Iron • Trouser Press • Desk • Ironing Facilities • Seating Area • Fan • Heating • Dressing Room • Carpeted • Sofa • Tile/Marble floor • Wardrobe/Closet • Hypoallergenic • Sofa bed • Shower • Bath • Hairdryer • Bathrobe • Free toiletries • Toilet • Bathroom • Additional Toilet • Bidet • Toilet paper • Minibar with free soft drinks and beer • Kitchen • Coffee machine • Outdoor furniture • Wake Up Service/Alarm Clock • Wake-up service • Alarm clock • Towels • Linen Free WiFi! This suite offers a king-size or twin beds in the bedroom, a living room with a sofa, a desk, Nespresso coffee machine and kettle as well as a dining table. A master bedroom comes with a lake view and a flat-screen TV. 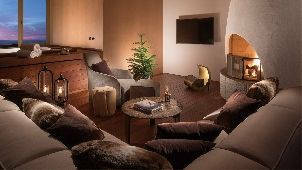 There is also a fireplace, a combined kitchen-living room, a private sun terrace. The bathroom offers a free-standing bath and a separate rain shower. A toilet with integrated bidet and a double washbasin. 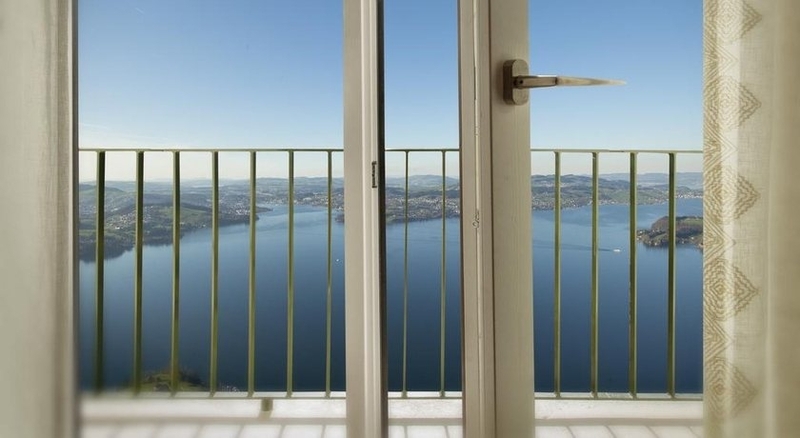 This room also provides a free usage of the Bürgenstock Boat Shuttle as well as a funicular from and to Luzern during entire stay. Room facilities: • Balcony • View • Lake view • TV • Telephone • Radio • Satellite Channels • Cable Channels • Flat-screen TV • Safety Deposit Box • Air conditioning • Iron • Trouser Press • Desk • Ironing Facilities • Seating Area • Fan • Heating • Dressing Room • Carpeted • Sofa • Tile/Marble floor • Wardrobe/Closet • Hypoallergenic • Sofa bed • Shower • Bath • Hairdryer • Bathrobe • Free toiletries • Toilet • Bathroom • Additional Toilet • Bidet • Toilet paper • Tea/Coffee Maker • Minibar with free soft drinks and beer • Kitchen • Coffee machine • Wake Up Service/Alarm Clock • Wake-up service • Alarm clock • Towels • Linen Free WiFi! 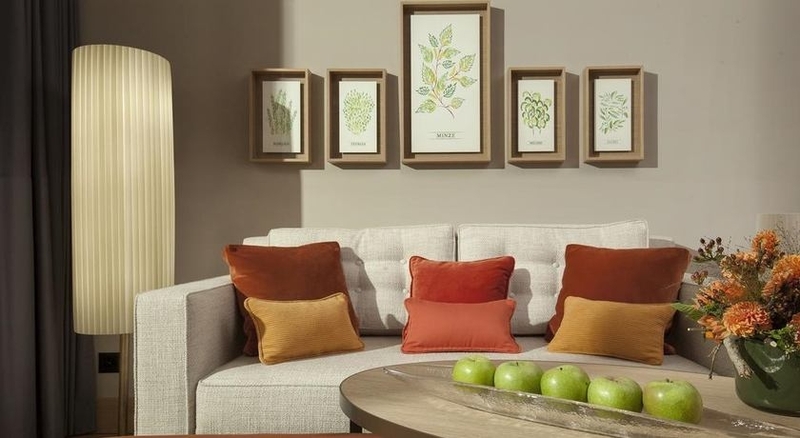 This spacious and brights room features floor-to-ceiling windows. 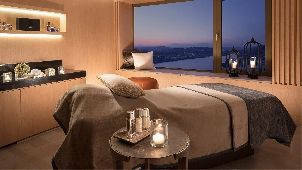 The room features modern architecture and select decor with a king-size bed, a sofa and a desk. 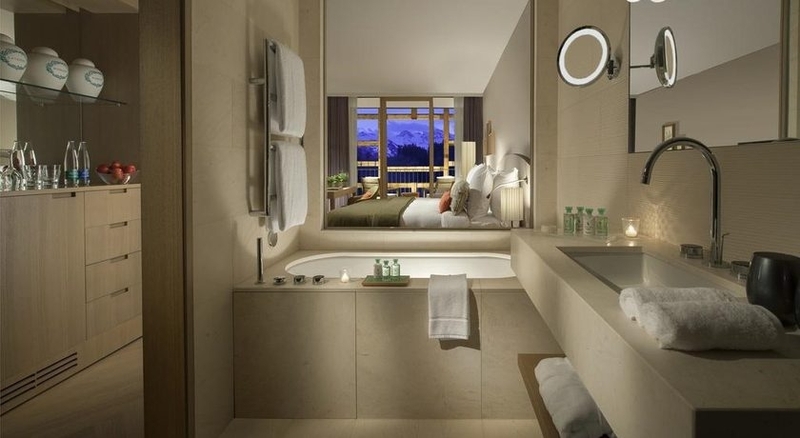 A fully equipped bathroom with an integrated drain shower and Bulgari toiletries. The room also provides free soft drinks minibar. 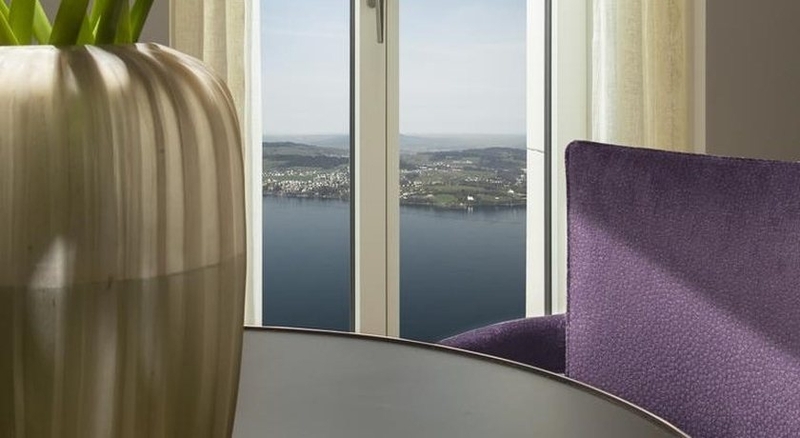 This room also provides a free usage of the Bürgenstock Boat Shuttle as well as a funicular from and to Luzern during entire stay. Room facilities: • Balcony • View • Mountain view • TV • Telephone • Radio • Satellite Channels • Cable Channels • Flat-screen TV • Safety Deposit Box • Air conditioning • Iron • Trouser Press • Desk • Ironing Facilities • Seating Area • Fan • Heating • Carpeted • Interconnected room(s) available • Tile/Marble floor • Wardrobe/Closet • Hypoallergenic • Sofa bed • Shower • Bath • Hairdryer • Bathrobe • Free toiletries • Toilet • Bathroom • Bidet • Toilet paper • Tea/Coffee Maker • Minibar with free soft drinks and beer • Coffee machine • Outdoor furniture • Wake Up Service/Alarm Clock • Wake-up service • Alarm clock • Towels • Linen Free WiFi! This spacious and brights room features floor-to-ceiling windows. 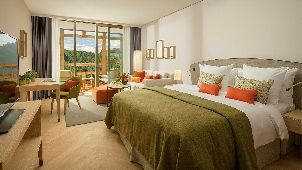 The room features modern architecture and select decor with a king-size bed, a sofa and a desk. 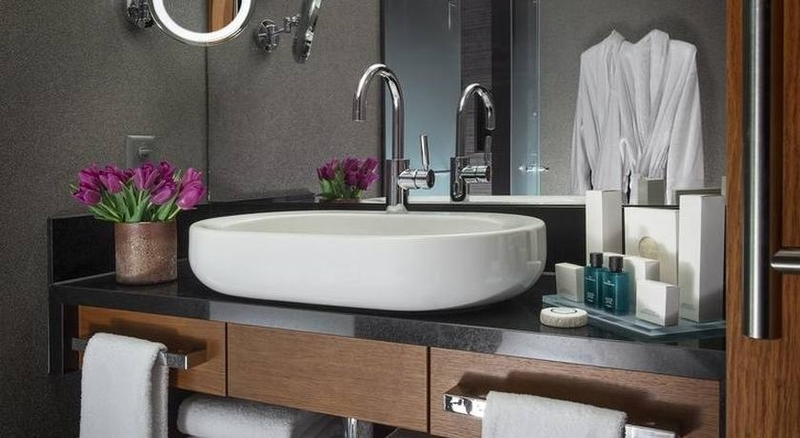 A fully equipped bathroom with an integrated drain shower and Bulgari toiletries. The room also provides free soft drinks minibar. 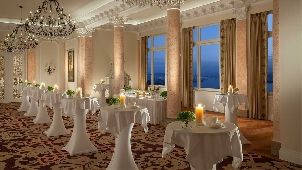 This room also provides a free usage of the Bürgenstock Boat Shuttle as well as a funicular from and to Luzern during entire stay. Room facilities: • Balcony • View • Mountain view • Terrace • TV • Telephone • Radio • Satellite Channels • Cable Channels • Flat-screen TV • Safety Deposit Box • Air conditioning • Iron • Trouser Press • Desk • Ironing Facilities • Seating Area • Fan • Heating • Carpeted • Interconnected room(s) available • Tile/Marble floor • Wardrobe/Closet • Hypoallergenic • Sofa bed • Shower • Bath • Hairdryer • Bathrobe • Free toiletries • Toilet • Bathroom • Bidet • Toilet paper • Tea/Coffee Maker • Minibar with free soft drinks and beer • Coffee machine • Outdoor furniture • Wake Up Service/Alarm Clock • Wake-up service • Alarm clock • Towels • Linen Free WiFi! This room features modern architecture and stylish interior, fine hardwood parquet floors, a fireplace, a king or twin bedding and a bathroom with a free-standing tub, Bulgari toiletries and a separate rain shower. Turn down service is included. The room also provides free soft drinks minibar. 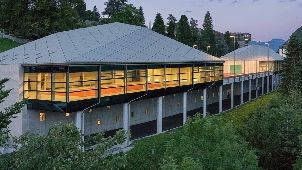 This room also provides a free usage of the Bürgenstock Boat Shuttle as well as a funicular from and to Luzern during entire stay. Room facilities: • Balcony • View • Mountain view • TV • Telephone • Radio • Satellite Channels • Cable Channels • Flat-screen TV • Safety Deposit Box • Air conditioning • Iron • Trouser Press • Desk • Ironing Facilities • Seating Area • Fan • Heating • Dressing Room • Carpeted • Sofa • Tile/Marble floor • Wardrobe/Closet • Hypoallergenic • Sofa bed • Shower • Bath • Hairdryer • Bathrobe • Free toiletries • Toilet • Bathroom • Additional Toilet • Bidet • Toilet paper • Tea/Coffee Maker • Minibar with free soft drinks and beer • Coffee machine • Outdoor furniture • Wake Up Service/Alarm Clock • Wake-up service • Alarm clock • Towels • Linen Free WiFi! This spacious suite comes with a fireplace, a walk-in wardrobe, a private library and a docking sound system. King or twin bedding is available. The suite bathroom features a free-standing tub, a separate rain shower. Turn down service is included. 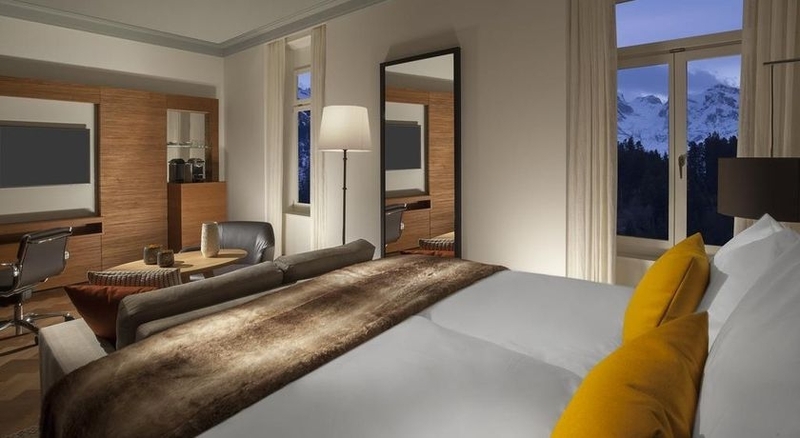 This room also provides a free usage of the Bürgenstock Boat Shuttle as well as a funicular from and to Luzern during entire stay. Room facilities: • Balcony • View • Mountain view • TV • Telephone • Radio • Satellite Channels • Cable Channels • Flat-screen TV • Safety Deposit Box • Air conditioning • Iron • Trouser Press • Desk • Ironing Facilities • Seating Area • Fan • Heating • Dressing Room • Carpeted • Interconnected room(s) available • Sofa • Tile/Marble floor • Wardrobe/Closet • Hypoallergenic • Sofa bed • Shower • Bath • Hairdryer • Bathrobe • Free toiletries • Toilet • Bathroom • Additional Toilet • Bidet • Toilet paper • Tea/Coffee Maker • Minibar with free soft drinks and beer • Kitchen • Coffee machine • Outdoor furniture • Wake Up Service/Alarm Clock • Wake-up service • Alarm clock • Towels • Linen Free WiFi! This room comes with a king or twin bedding bedroom, a living room, a bathroom and a guest toilet. 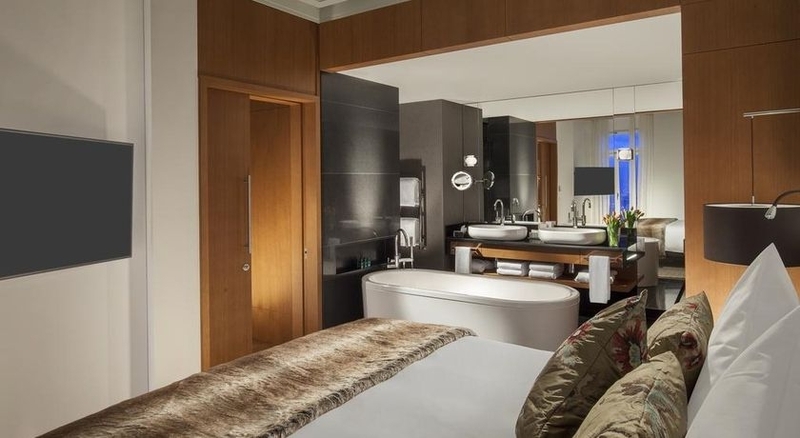 The spacious and well-lit bathroom has a free-standing bath with a television, Bulgari toiletries and a rain shower. The room also provides free soft drinks minibar. 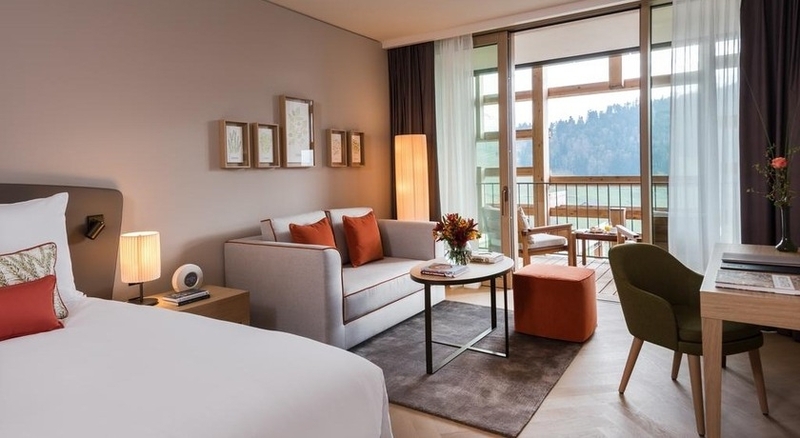 This room also provides a free usage of the Bürgenstock Boat Shuttle as well as a funicular from and to Luzern during entire stay. Room facilities: • View • Mountain view • TV • Telephone • Radio • Satellite Channels • Cable Channels • Flat-screen TV • Safety Deposit Box • Air conditioning • Iron • Trouser Press • Desk • Ironing Facilities • Seating Area • Fan • Heating • Carpeted • Sofa • Tile/Marble floor • Wardrobe/Closet • Hypoallergenic • Sofa bed • Shower • Bath • Hairdryer • Bathrobe • Free toiletries • Toilet • Bathroom • Bidet • Toilet paper • Tea/Coffee Maker • Minibar with free soft drinks and beer • Coffee machine • Outdoor furniture • Wake Up Service/Alarm Clock • Wake-up service • Alarm clock • Towels • Linen Free WiFi! Simply furnished double rooms with comfortable queen-size box spring beds, free WiFi, an iPhone docking station and a 40-inch flat-screen TV. 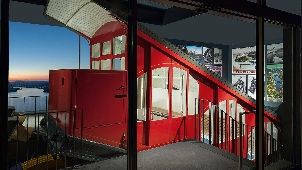 This room also provides a free access to usage of the Bürgenstock Boat Shuttle as well as a funicular from and to Luzern during entire stay. Room facilities: View, TV, Telephone, Radio, Satellite Channels, Cable Channels, Flat-screen TV, Safety Deposit Box, Air conditioning, Iron, Trouser Press, Desk, Ironing Facilities, Seating Area, Fan, Heating, Carpeted, Tile/Marble floor, Wardrobe/Closet, Hypoallergenic, Shower, Hairdryer, Free toiletries, Toilet, Bathroom, Toilet paper, Minibar, Wake Up Service/Alarm Clock, Wake-up service, Alarm clock, Towels, Linen Free WiFi! Simply furnished double rooms with comfortable queen-size box spring beds, free WiFi, an iPhone docking station and a 40-inch flat-screen TV. 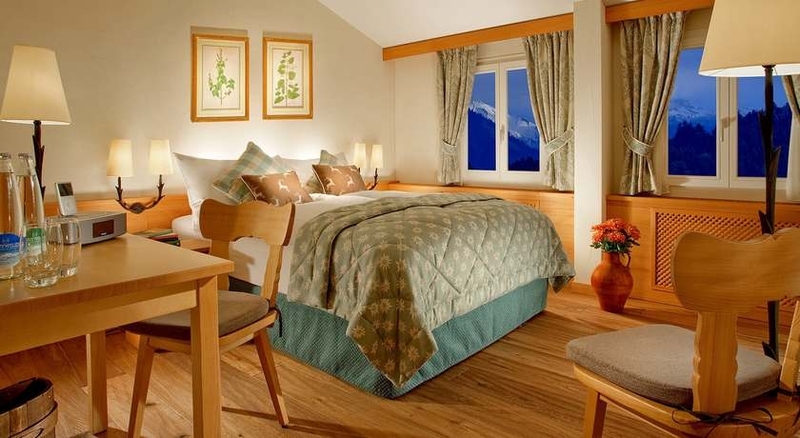 This room also provides a free usage of the Bürgenstock Boat Shuttle as well as a funicular from and to Luzern during entire stay. Access to spa at extra charge.